All Ehrenberg homes currently listed for sale in Ehrenberg as of 04/25/2019 are shown below. You can change the search criteria at any time by pressing the 'Change Search' button below. If you have any questions or you would like more information about any Ehrenberg homes for sale or other Ehrenberg real estate, please contact us and one of our knowledgeable Ehrenberg REALTORS® would be pleased to assist you. "RIVERFRONT PROPERTY! 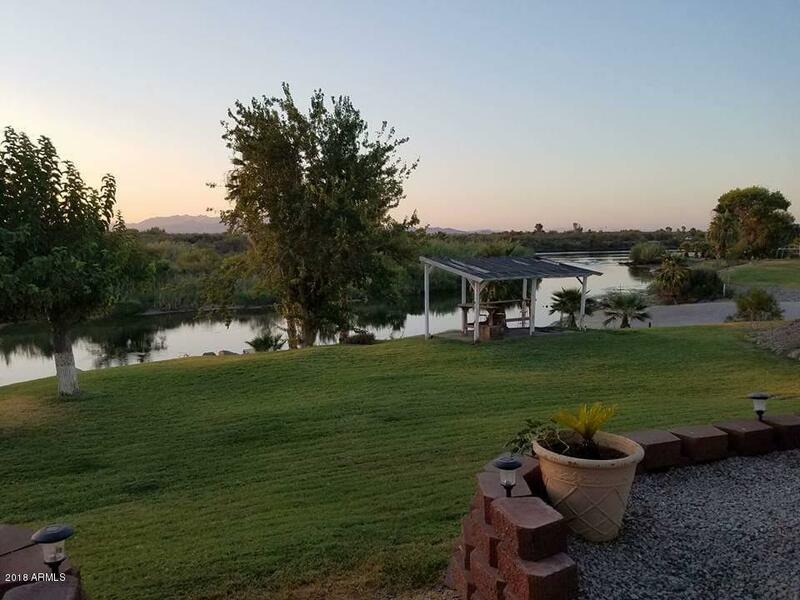 !Enjoy spectacular river and mountain views with this 3 bedroom, 2 bath Riverfront home located in Ehrenberg AZ. You wont find a better location than this! Plenty of covered parking for all your river and desert toys with a 28ftx36ft Cool Cover. This property also has a brand new Trex deck to sit on and enjoy the beautiful Colorado River sunsets. Whether you are a weekend warrior or looking to live here full time, you cant go wrong with this gem. This is a secure. gated resor"